This is a guide to resources at the University of Nevada, Las Vegas Libraries that may be of use to genealogists. Welcome to the Genealogy Guide. Use the tabs above for an overview of some of the collections and resources available to you in and through this library. If you're looking for information you can read online, start with the Databases tab. 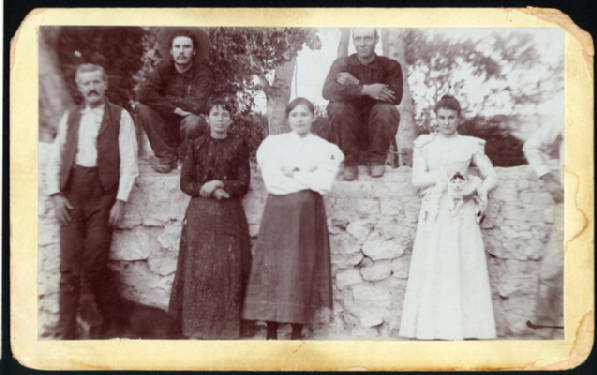 Image of the Stewart Family from the Las Vegas Centennial digital collection, original in UNLV Libraries Special Collections. Locate books, videos and other materials owned by the University Libraries. The Library Catalog will tell you the location of the book in the Libraries and the call number. This is a group that offers seminars, classes, and programs on genealogy. This is a group that offers programs, seminars, classes, and a newsletter on genealogy.